With the population of the world ever increasing, I have no doubt that the amount of rubbish we landfill is equally growing larger. The question is, what do we do with it? There’s the tried and tested method of setting the whole lot on fire, but that’s a horrifyingly environmentally unfriendly way. 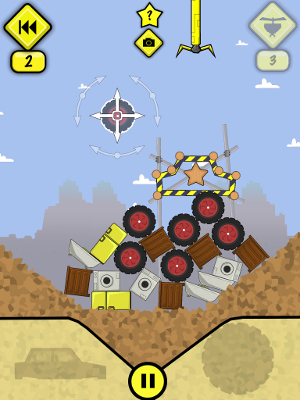 Thankfully, developer Andy Haith might have a better idea in his iOS game, Scrapyard: turn it into one giant puzzle game. 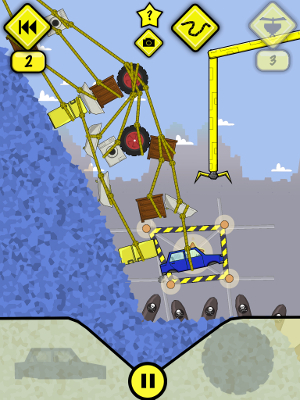 Scrapyard is a physics-based puzzle game where the object is to balance a car in a particular area so that it can be picked by a mechanical grabber, ready to be crushed; and hopefully recycled. This goal is achieved by balancing and connecting dumped furniture in a variety of different ways, but with the constraint that you’re always randomly given the piece of furniture you have to place, with the difficulty being that some objects have better uses for certain situations than others. You’re able to drag your given object around the area, and can rotate it to your liking before dropping it into the area for real. Early levels require you to simply balance objects on top of one other to make a pile of rubbish, and as you progress you’ll also use planks and eventually rope to join items together to ensure the car has a steady platform on which to be grabbed. 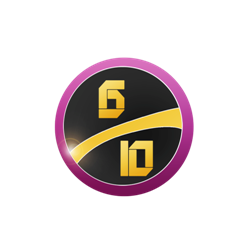 As well as the initial goal of crushing the car, there are also three additional objectives per level that earn you stars, with a reward awaiting those who earn 100 of the 144 stars on offer. These range from making sure you don’t crush the flowers on the landscape, to only using a certain number of a resource, or then making sure the car is perfectly within the goal area. It’s these additional goals that will prove to be the most challenging, alongside the more challenging levels that litter bombs around the environment that must be avoided at all costs. Should you make a mistake, you are given a number of rewinds per level, that can be used to undo the last item you placed. It’s a very simple idea, and there is a steady difficulty curve in play. However, where Scrapyard falls down is in the lack of imagination when it comes to the levels themselves. Every now and then you’ll come upon a really good physics problem such as a Rube Goldberg-esque puzzle or one that requires you to use the weight of objects to move other ones. These glimpses of inventiveness are sadly few and far between, which makes the other 90% of levels seem really pedestrian and uninspired. Once you’ve stacked or suspended items for more than a few levels, it’s very easy to fly through most of the game. There are some genuinely tricky puzzles, and for those that are really stuck, there are a finite number of sky-hooks that can be used to suspend an item securely in the air. Some of them can be earned as you progress, but the main source of these are through in-app purchases, which also allow you to purchase unlimited rewinds, though neither are essential to the game. The graphics and sound in Scrapyard are as simple as the game itself. It’s all bare minimum stuff, with simple 2D objects, and irritating stock music/sound effects that you’ll turn off very quickly. Not every game has to look and sound amazing, but it would have been good to see a little more variety in the environments and objects. VERDICT: This is the perfect case of a game being based on a great initial idea, but being slightly let down by it’s execution. It’s certainly more enjoyable than a game about stacking rubbish should be, but Scrapyard is missing the element that turns it from a great idea to a great game. Some variety within the puzzles and objects themselves could go a long way in making this a great game, but as it stands, it’s just a bit average.